1. 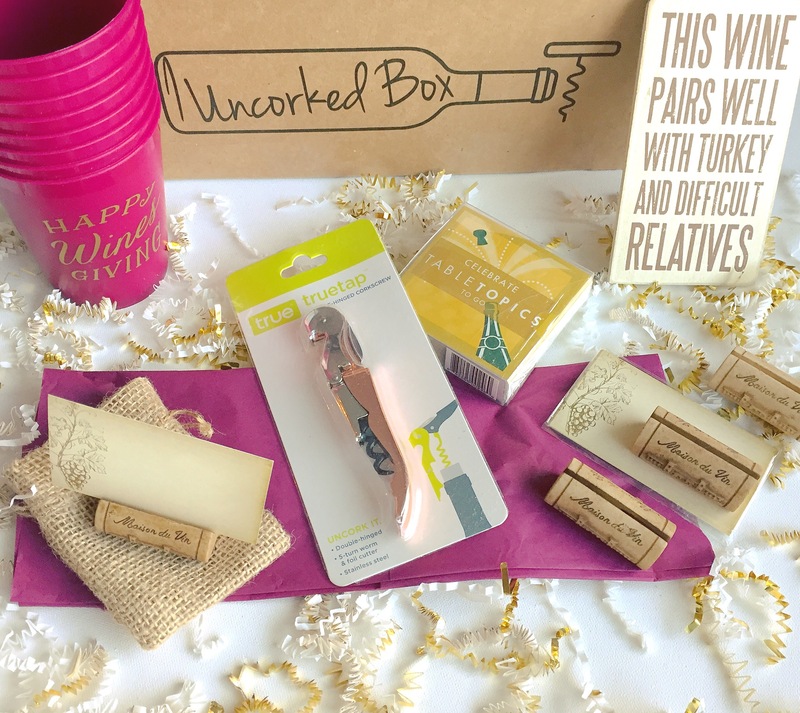 Plastic wine cups – this box was actually for Thanksgiving but I’ll be using these for Christmas anyways! 2. Name tags and holders – loveee these adorable wine cork name tag holders. They are the perfect touch For any celebration. 3. Wine tag – super cute to put around the neck of a bottle for show or as a gift! 4. Celebrate table topics game – love that they included a game, I love drinking or socializing games. Always up for a card or board game, which I wish more people were too! 5. Wine crank – I know it’s just a wine crank but it’s sooo cute, loooove the colour! Plus they are important for getting your wine open oooobviously. No use having those cheap ones that break your cork.